﻿ Radisson Blu Hotel, Madrid Prado Madrid. JIMAT di Agoda.com! Ada soalan mengenai Radisson Blu Hotel, Madrid Prado? Terletak pada kedudukan yang baik di Pusat Bandar, Radisson Blu Hotel, Madrid Prado adalah tempat yang sesuai untuk memulakan lawatan anda di Madrid. Hotel ini terletak 0Km dari pusat bandar dan menyediakan akses kepada kemudahan bandar yang penting. Penginapan ini berada di sekitar kawasan tarikan bandar yang popular seperti Mercadillo de Antiguedades, Parroquia Jesus de Medinaceli, Le Moulin. Kemudahan dan perkhidmatan yang disediakan oleh Radisson Blu Hotel, Madrid Prado memastikan penginapan yang menyenangkan bagi para tetamu. Untuk menamakan beberapa kemudahan di hotel ini, terdapat khidmat bilik 24 jam, Wi-Fi percuma semua bilik, pengemasan harian, khidmat teksi, mesra kerusi roda. Semua penginapan bagi tetamu menawarkan kemudahan yang difikirkan dengan teliti bagi memastikan rasa selesa yang sukar ditandingi. Hotel ini menawarkan banyak peluang rekreasi yang unik seperti tab panas, pusat kecergasan, kolam renang tertutup, spa, rumah urut. 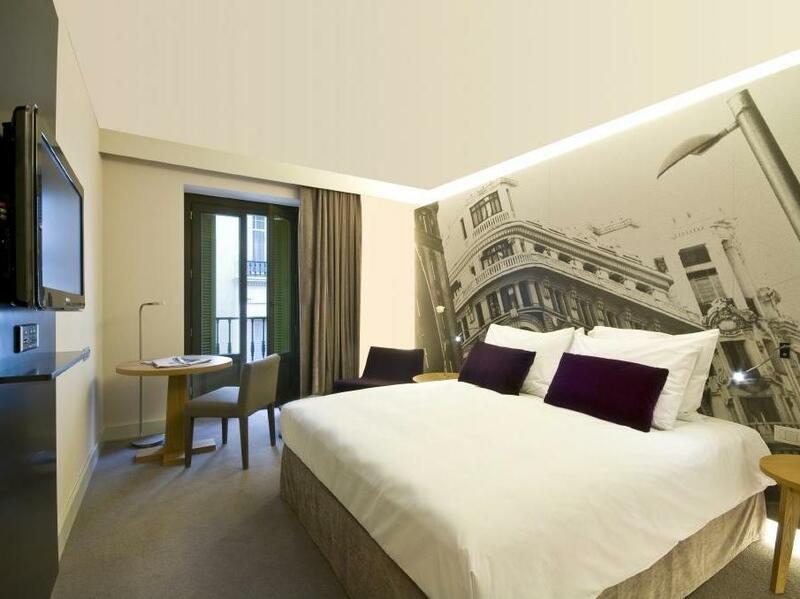 Radisson Blu Hotel, Madrid Prado merupakan tempat yang ideal bagi penginapan pelancong yang mencari keindahan, keselesaan dan kemudahan di Madrid. Bayi berumur 0-2 tahun menginap percuma jika menggunakan katil yang ada. Tetamu juga dapat meminta katil bayi secara percuma lebih awal. The temperature of the water in the pool at the spa was far too cold. The fitness installations are disappointing. Clean and new rooms . The location is excellent close to the Prado hop on hop off bus .Easily walkable to plaza Mayor . The bed was just perfect! Everything was clean and really well looked after. I will definitively come back! Nice hotel, good location, and helpful front desk - especially Francisco. excellent hotel and location. suggest to avoid meals at the hotel as they are over-priced and not very good quality. Many options around the hotel for eats. This hotel is located in city centre with restaurants nearby. A bit over priced and room size is small. TV channels are limited with mostly news channel. No movie channels at all. No English channels except CNN, BBC and other sports channels ; rest are spanish . Beautiful hotel, enjoy every moment. Beds you never want to leave, gorgeous rooms and the staff could not be more helpful. Have stayed here several times and will be back. Fabulous location with cafes and bars a either right on the doorstep or a short walk. The amazing Museo del Prado and Reina Sofia so close you can touch them. Modern little gem of a hotel. Great bathroom! Superb location. Only tiny letdown for me was the size.... It was so small. In saying that I'd definitely recommend and stay there again!!! 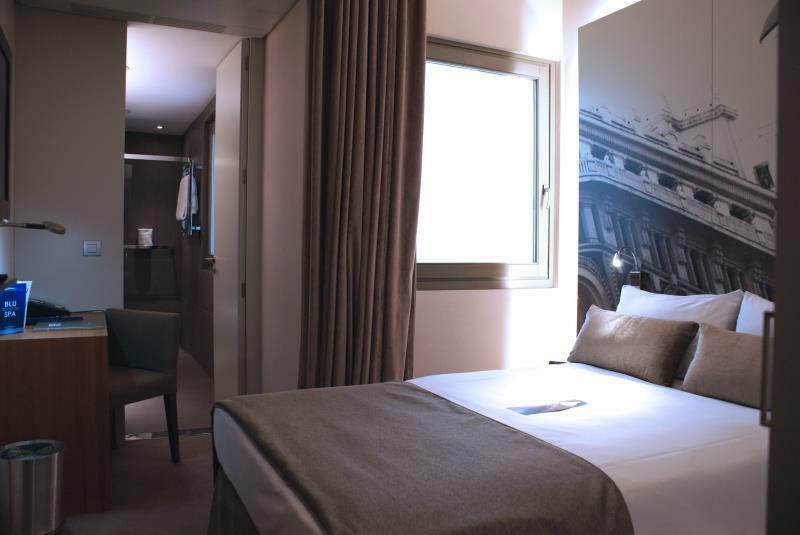 The hotel is within walking distance from the Atocha train station and the Metro station. Very good restaurants and attractions nearby. Great location, really comfortable bed, lovely shower, friendly staff. The location was perfect, the room size was comfortable & coffee machine in the room. It was lovely, we had a lovely weekend there and the location was perfect so we can get around easy! Everywhere was a walking distance to the hotel! The staff was friendly and very professional. We enjoyed our stay there and would consider staying there again in the near future. only they did not allow room at 2.00 pm. wanted me to wait till 3.00 pm or pay euro 30 to upgrade & get the room. They have nespresso as their complimentary room coffee. good location for Prado museum. nice room design. We enjoy our stay here. They are accommodating and helpful. The location is good for those who wants to visit the Prado Museum. Clean room and nice design of the room.